Funded by a group of McGill students Education Canada College “ECC of Québec” is a private non-profit school established in Summer – 1998 through cooperation of McGill University’s Universal Students Centre & McGill University’s Multicultural Students Association. Primary programs of ECC have been language training in English, French & Spanish alongside with Teachers Training in TESOL, TFSOL & TSSOL. 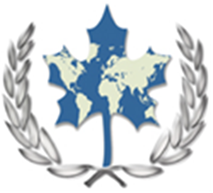 As a pioneer institute in providing practical experienced based training to TESOL students, ECC has been a major TESOL Graduates provider for schools in Canada and overseas. During the first ten years of ECC’s operation over 1700 Teachers have been graduated from ECC’s dynamic TESOL program. Language Students have largely benefited from ECC’s TESOL program by having additional tutorials arranged for their classes. Today ECC continues to strive for highest quality of educational achievements through contentious research and development more particularly in language instructions and TESOL arranged in 8 different languages. Additional Career Training for Teachers’ Specializations, Administration and Healthcare are provided through ECC’s Affiliated Colleges and Universities. ECC’s Certificate programs are locally accredited within the province of Québec & registered by Human Resources Development Canada HRDC, TESOL Canada, Ministry of Revenue Québec and Revenue Canada. ECC is Internationally Accredited by, TESOL Asia, TESOL Arabia, TESOL USA & European Union TESOL Association EUTA. Affiliated ECC’s Network Schools & their programs are all accredited by Ministry of Education within the related country & province. Some of ECC programs are credited through Universal American University.